In search of that little something to finish off your outfit? Bespoke Millinery offers hair accessories to suit you. Virginie will design to your requirements and the choice is yours. 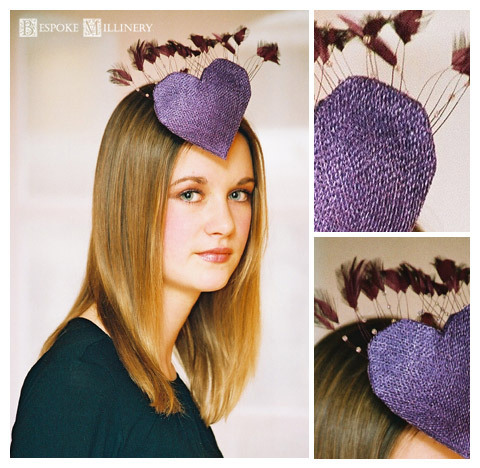 The Crowning Heart is just an example of alternative shaped fascinators. It is made of aubergine colour straw with glass beads threaded through small trimmed feathers. This simple but effective piece can be worn for any smart occasion as day or evening wear.